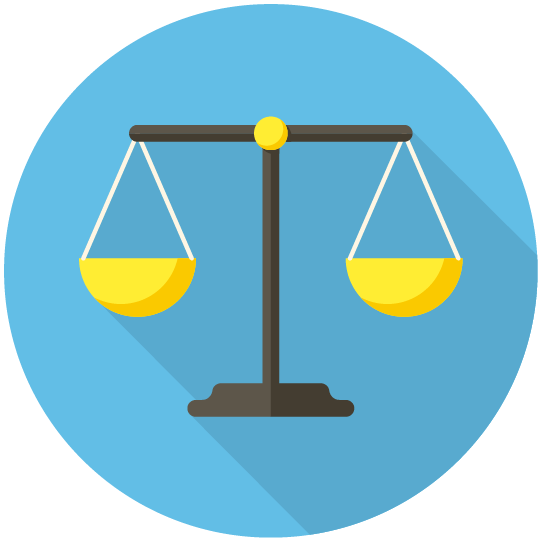 Limited mobility shouldn’t limit you to your home or prevent you from travelling when you want to. 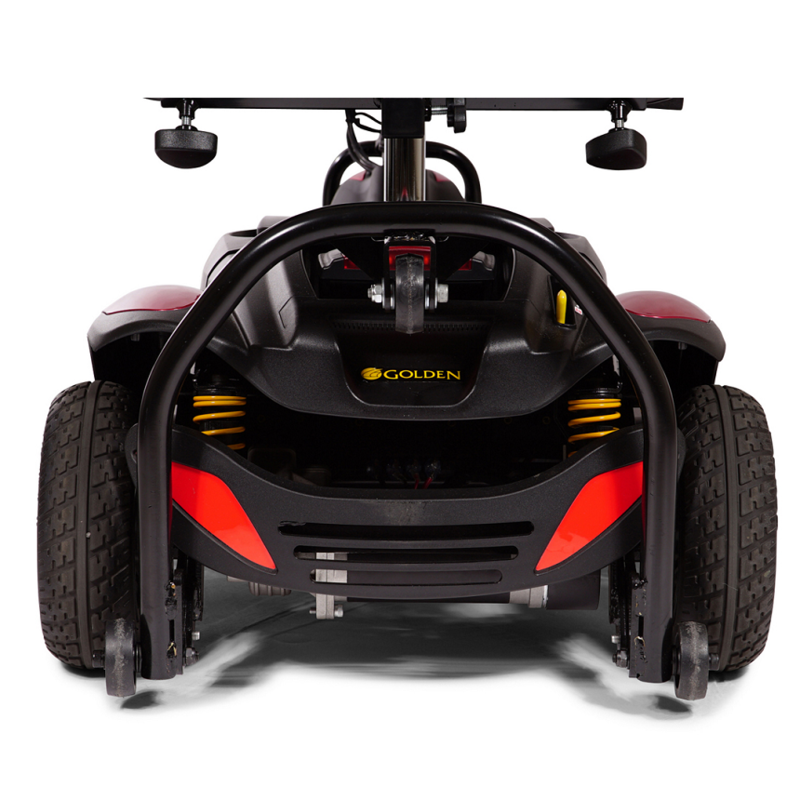 With Golden Technologies Buzzaround EX 3-Wheel Scooter, you can go farther and faster than you could on most scooters. This compact mobility scooter easily collapses down and separates into easily transportable pieces, so you can tuck it into the trunk of a car and take it with you when you go out. 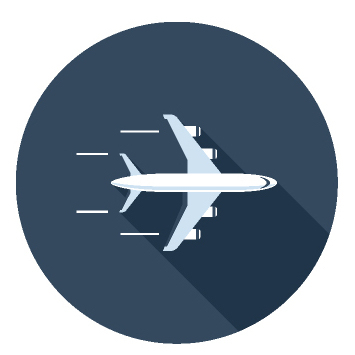 It has exceptional battery capacity, allowing you to go 18 miles between charges. The high-powered battery allows you to reach speeds of 5 MPH, so you don’t have to worry about falling behind friends and family when you go out. 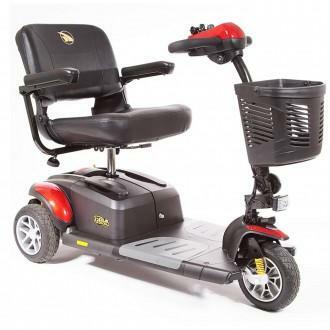 Larger wheels and smooth suspension system keep you upright even on rough outdoor terrain. The BuzzAround EX 3-Wheel can be disassembled in four simple steps. This full size scooter is fully portable, and once disassembled, the heaviest piece weighs only 53 pounds. The scooter can achieve a top speed of 5 miles per hour and can travel up to 18 miles on a single battery charge. 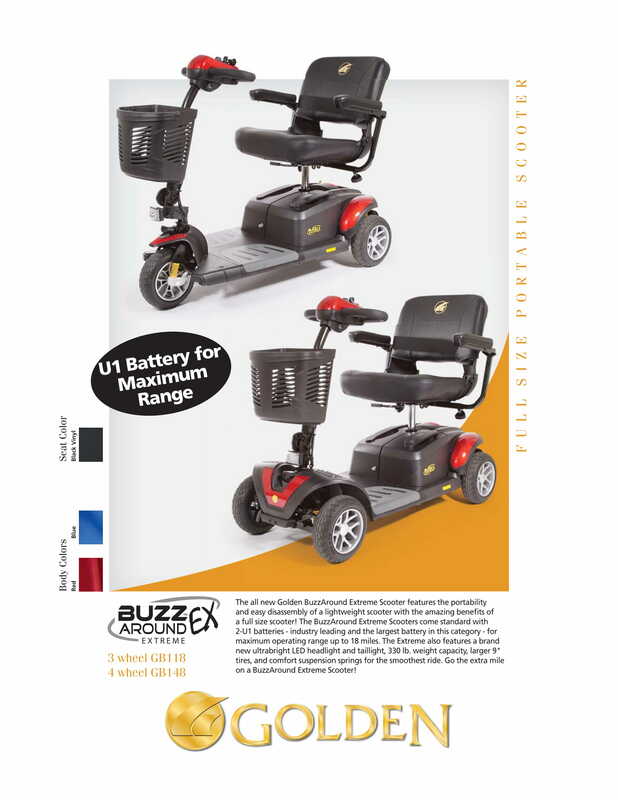 Golden Technologies: Buzzaround EX 3-Wheel Scooter has a rating of 4.8 stars based on 8 reviews. 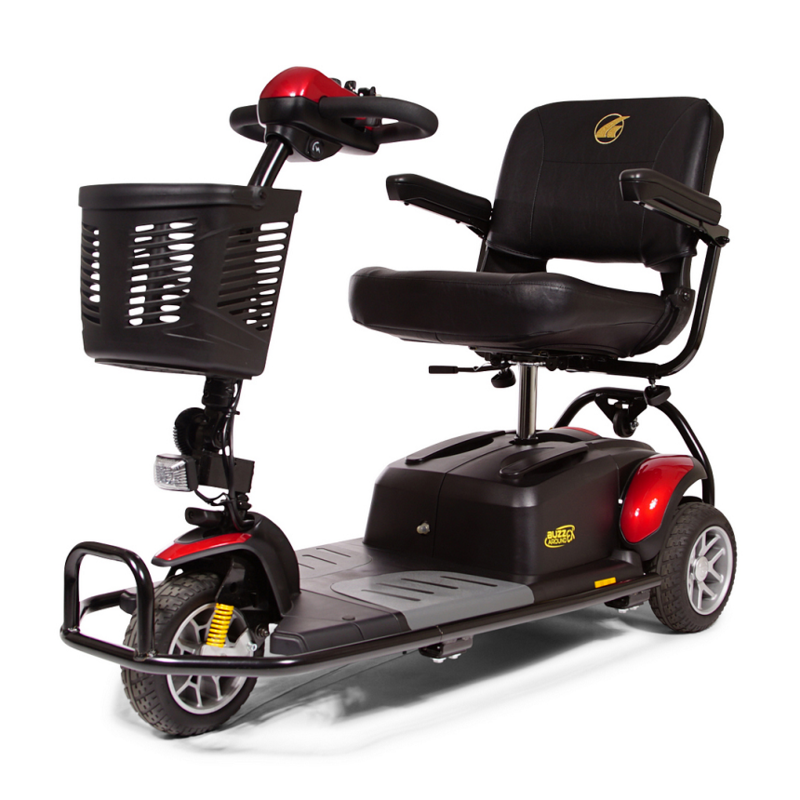 Why Golden: Buzzaround EX 3-Wheel Scooter? The BuzzAround EX 3-Wheel scooter is designed to provide you with excellent long-distance transportation. 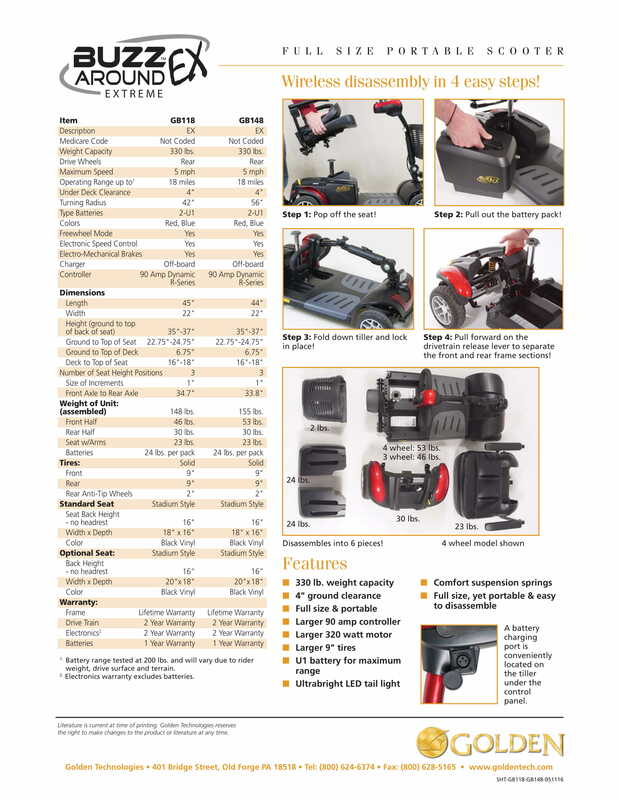 This scooter is equipped with 2-U1 batteries which are industry-leading, providing you with a maximized operating range.